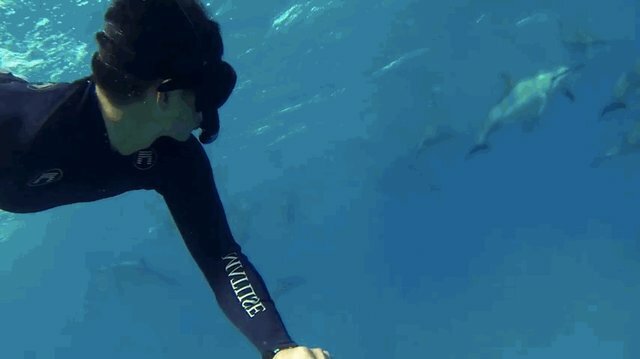 It's been made pretty clear by now that swim-with-the-dolphin programs at marine parks and zoos are harmful to animals -- and dangerous for humans. 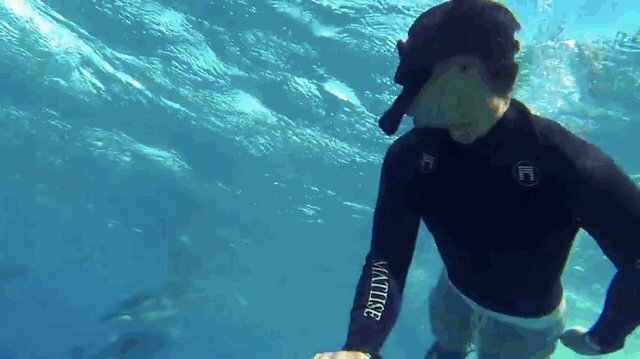 But when diver James Chan found himself in the midst of a dolphin pod off the coast of Hawaii, he took some incredible footage that is -- hands-down -- way better than watching a dolphin swim around in a tank. 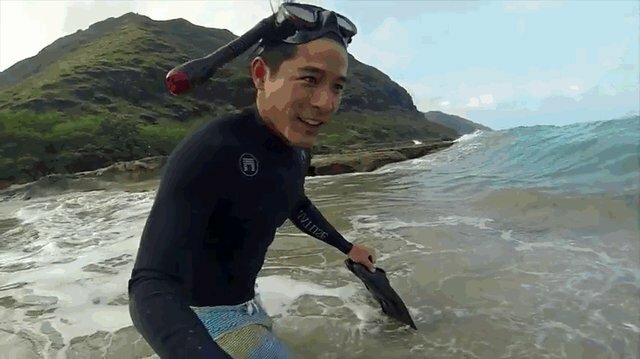 Chan saw one dolphin as soon as he ducked under the water. 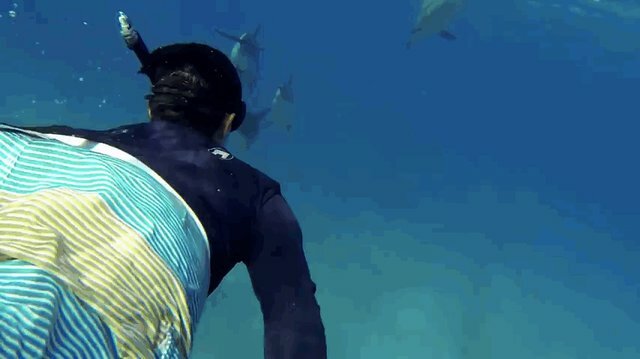 The dolphin definitely brought his posse. You know, just one of the guys.